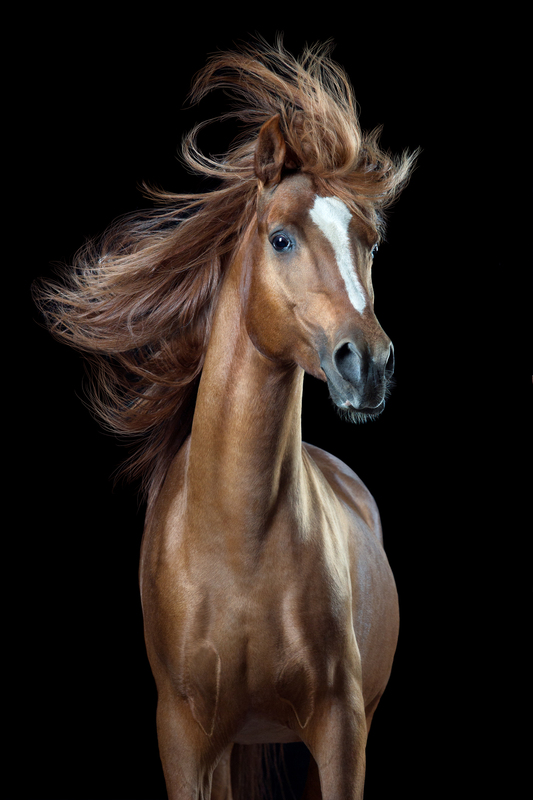 When people ask me why I'm photographing horses I usually respond:"" Because I adore their beauty and magnificent grace!"" But there is another reason as well. 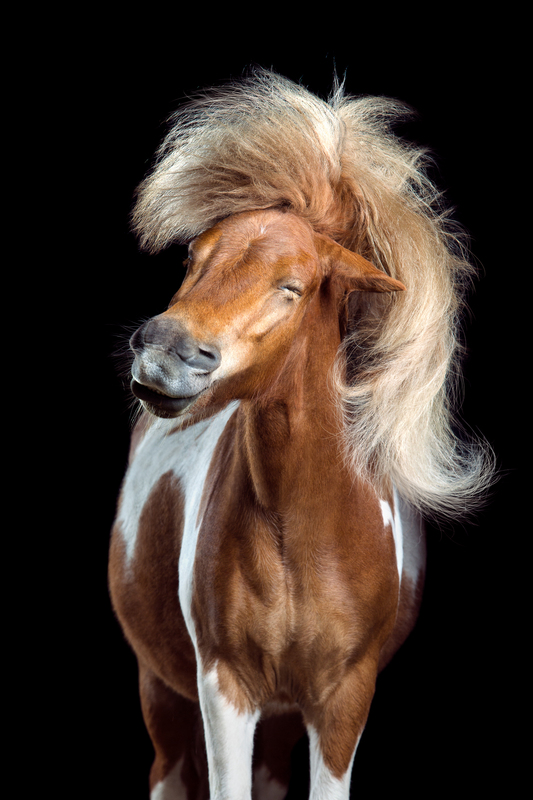 Horses can be hilarious and darn funny! 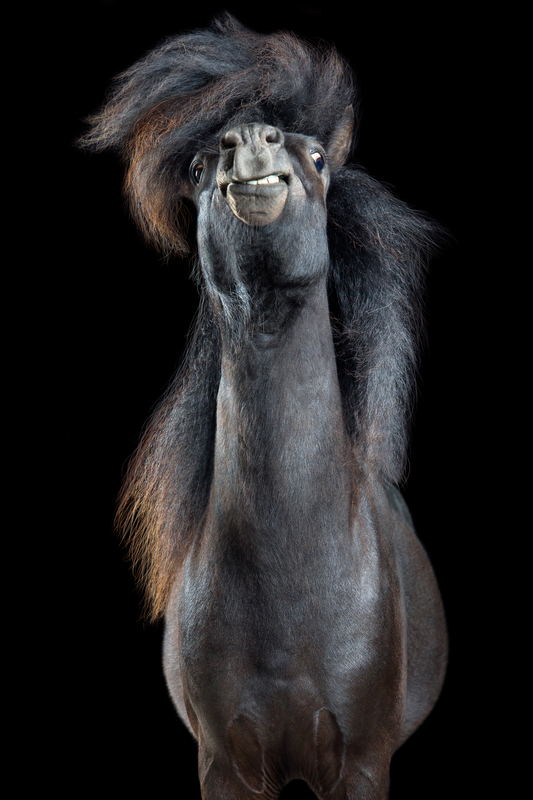 It's my greatest passion to tease out nearly human expressions of my horse models. 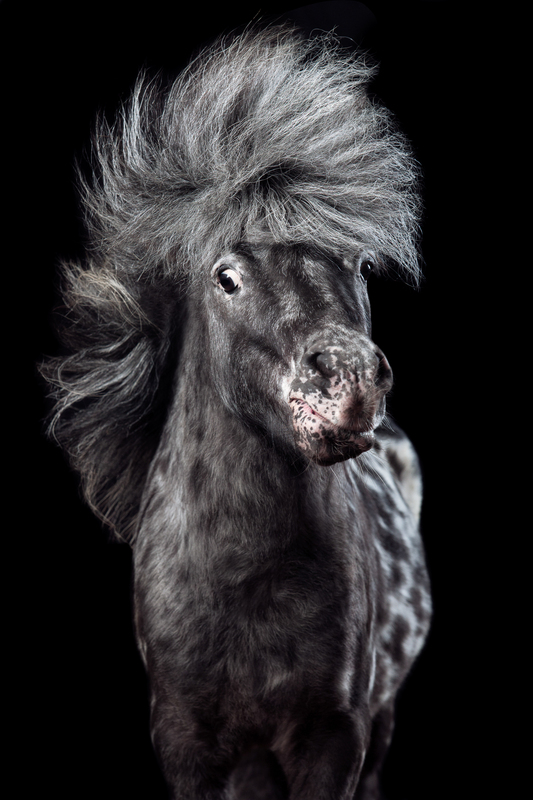 It was really fun to work with such different horsy characters. 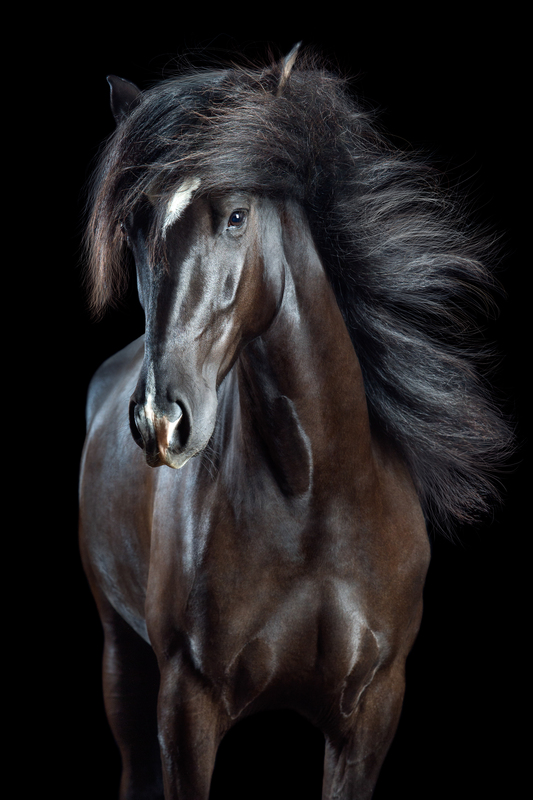 The black PRE Allaus learned to shake on hand sign within 5 minutes before the photo session! 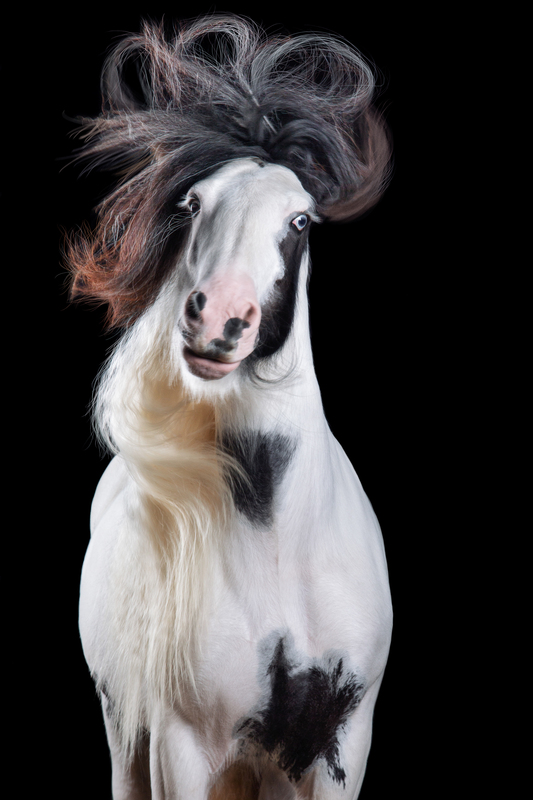 Arabian stallion Hafid preferred to neigh proudly in studio first before he realized that 3 girls where absolutely euphoric when he shook his head. 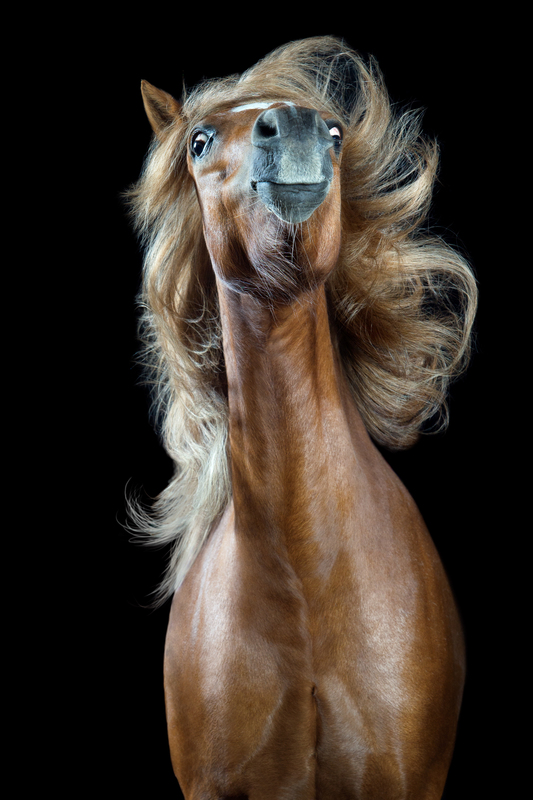 The most difficult part was to keep the horses straight to the camera. Most time they wanted to move their head to the side or downward. A good handling and horse goodies were highest priority. I focused on a great face and a harmonic choreography of the hairs.